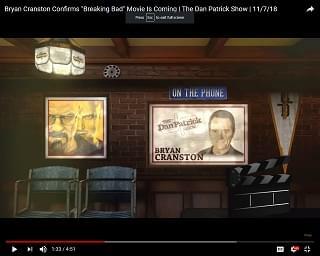 Home » Blogs Page » Featured » Bryan Cranston Confirms “Breaking Bad” Movie, But Is He In It? Bryan Cranston Confirms “Breaking Bad” Movie, But Is He In It? A “Breaking Bad” movie is set to start filming in Albuquerque, New Mexico soon. So far there’s no word on which of the show’s beloved characters will be involved, including the man himself. Bryan Cranston has confirmed news of the film… but what he can’t say is whether or not he’ll actually be in the movie as Walter White.